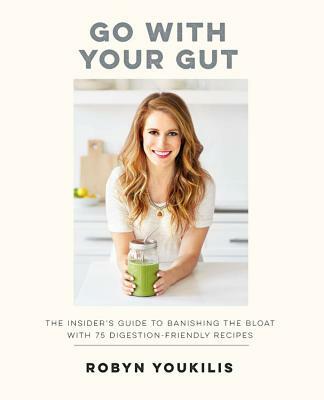 When nutritionist Robyn Youkilis began her coaching practice, she quickly realized that the vast majority of complaints she heard from clients were about their digestion. This exciting new book helps to change your relationship with food and your body by focusing on what your symptoms are telling you. If your digestive system isn't functioning properly, you can gain weight and suffer from fatigue, insomnia, bloating, indigestion and IBS. This exciting new book helps you to change your relationship with food and your body by focusing on what your symptoms are telling you and building new habits into daily life at a manageable pace. From a Superhuman Breakfast to a good-for-you Chocolate Cake, from a Rose and Berry Smoothie to the Perfect Detox Salad, Robyn shares more than 75 delicious yet simple recipes to help you on that path. Go With Your Gut will help you become your healthiest self. Robyn Youkilis, AADP, is a certified wellness expert, TV personality, author, and owner of Your Healthiest You, Robyn's health coaching practice where she helps thousands of women break free of the craziness of dieting and connect to their truest and best selves through no-nonsense action steps. She regularly advises The Today Show, People, Redbook, and thousands of women. She's been featured by The Cooking Channel, The Wall Street Journal, Health, Men's Fitness, The Huffington Post, CBS News, NYLON and more.